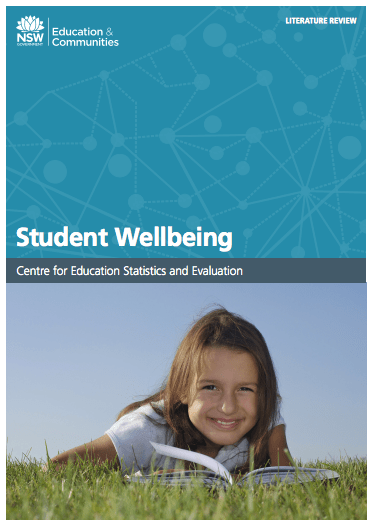 A couple of weeks ago the Centre for Education Statistics & Evaluation released their literature review into Student Wellbeing. You can access the entire document here. It clearly and concisely lays out all the considerations important for addressing student wellbeing in your school. It also offers dozens of research papers to explore by way of referencing. I’ve spoken and written at length to explore the research evidence shows that students with high levels of wellbeing are more likely to have higher academic achievement and complete Year 12; better mental health; and a more pro-social, responsible and lawful lifestyle. And yet – even though we know this – I often find approaches to wellbeing in organisations that are tokenistic, or tick-a-box in nature. Assuming your school or organisation is keen to address wellbeing in a meaningful way, the literature suggests you need to have 5 things in place. The report states: A safe school is one where the physical environment is safe and does not lead to harm or injury for students; the emotional environment is one of positivity and free from negative behaviours such as bullying which can affect mental health; and where a healthy lifestyle is promoted through initiatives such as increased participation in sport and/or healthy food at the canteen. A sense of belonging to the school environment is an established protective factor for child and adolescent health, education, and social wellbeing. Students with low connectedness are two to three times more likely to experience depressive symptoms compared to more connected peers. The reports states: McNeely et al examined the association between school connectedness and the school environment using data from the US National Longitudinal Study of Adolescent Health and hierarchical linear models. They found that positive classroom management climates, participation in extracurricular activities and tolerant disciplinary policies were associated positively with higher school connectedness. Other strategies can include increasing the time, interest and support given to students by teachers, empowering students to have a voice, engaging community partners to provide a range of services at the school that students need, and developing a shared vision of high standards and behaviours for the school. Involvement in extra-curricular activity and exposure to a challenging curriculum can also assist with connectedness. 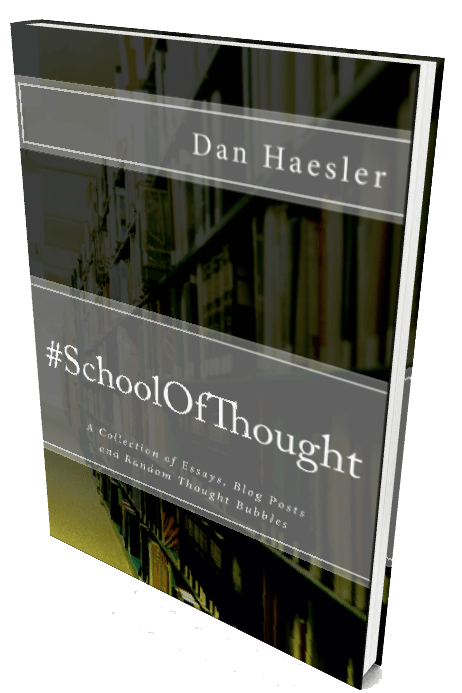 According to the report: Students can engage with school at social, institutional and intellectual levels. Social engagement is how a student is involved in the life of the school and can refer to a sense of belonging, positive relationships and participation in clubs and sports etc. Institutional engagement is how a student values school and strives to meet the formal requirements of schooling such as attendance, positive behaviour and homework, and intellectual engagement relates to emotional and psychological investment in schooling such as interest, effort and motivation. i. Quality instruction may mean student participation in design, delivery and review of the program and/or active participation in parts of their education, from consultation to decision-making. ii. The work of Suzy Green was cited as such: When people work with their strengths [signature strengths as defined by Martin Seligman], they tend to learn more readily, perform at a higher level, are more motivated and confident and have a stronger sense of satisfaction, mastery and competence. iii. And Lea Waters’ research into Positive Psychology interventions in school was summarised as: Waters reviewed evidence from 12 schools that had implemented positive psychology interventions focusing on gratitude, hope, serenity, resilience and character strengths, and found that these interventions were significantly related to student wellbeing, relationships and academic performance. I’ve heard a few teachers – and even leaders – suggest that there simply isn’t time to address the social and emotional learning of students. But if you’re trying to make a case for it in your school, you could cite the research of Durlak et al (2011). (Again from the report) They conducted a meta-analysis of 213 studies of SEL programs involving 270,034 kindergarten through high school students in the US. They found that compared to control participants, SEL participants demonstrated significantly improved social and emotional skills, attitudes, behaviour, and academic performance that reflected an 11-percentile-point gain in achievement. Student wellbeing cannot be seen as something else we do in schools. It can not be thought of in isolation. As the report suggests: Critical elements to supporting wellbeing at the school level are: strong school leadership which emphasises and promotes the importance of wellbeing at the school and within the broader school community; and a culture of high expectations for all students with teachers who emphasise continuously improving. In other words, wellbeing must be integrated into the school learning environment, the curriculum and pedagogy, the policies and procedures at schools, and the partnerships inherent within and outside schools including teachers, students, parents, support staff and community groups. I highly recommend having a look at the whole report, not least for the wealth of resources it will point you to in order to address each of these five key areas. I believe that engagement & wellbeing are at the crux of what we do in schools and if we get this right, outcomes will – largely – look after themselves (for staff as well as students). But still… too many schools, organisations and systems pursue outcomes at the expense of engagement and wellbeing, and then they struggle to understand why staff, students and the wider community are so disaffected. Really useful article and I’ll look at the report later. We now have a measure of well being which has been piloted with all stakeholder feedback incorporated. What I have yet to do is provide a ‘toolkit” of things that can be done to improve scores in each category and I’m guessing the report will help with this. For example, students that identified sleep as a concern have been issued a fitbit to monitor sleep and some tips on how to improve sleep.